Holden has today honoured its local legacy whilst celebrating its future in Australian motorsport, unveiling three very special new Limited Edition Commodores alongside the inaugural reveal of the new 2017 Red Bull Holden Racing Team Supercars. The three new Limited Edition Commodores, created as a result of a secret skunkworks type project, add sophisticated, track-focused driving technology to the already impressive 6.2-litre LS3 V8 engine, to produce the most capable Commodores ever. Named in honour of an illustrious history in Australian motoring and in celebration of the people that have contributed so much to Commodore’s success over the years, the SS-V Redline based Motorsport Edition and Calais V based Director take performance and luxury to a higher plane, while the SS-V Redline ute based Magnum explores the unique ability of ‘Australia’s own sports car’. 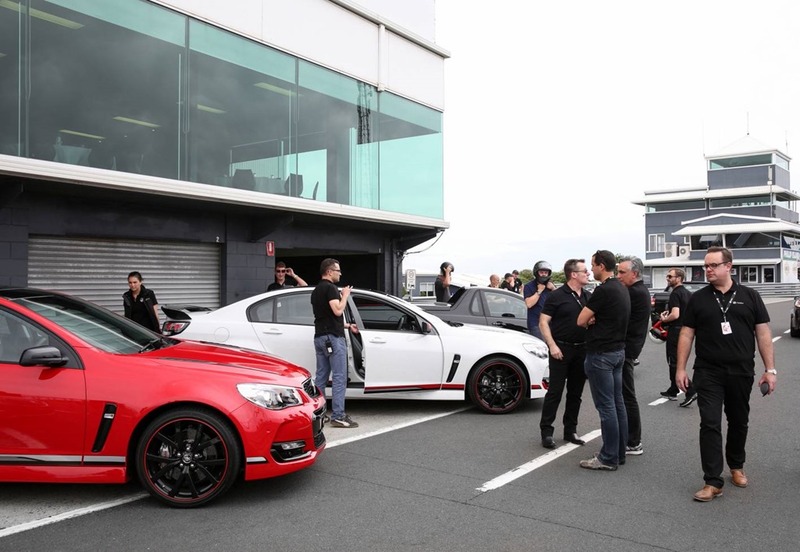 Holden’s Limited Editions Lead Development Engineer, Daniel Pinnuck, said the three Limited Editions used additional technology to squeeze even greater performance from Commodore and position one of Australia’s favourite vehicles as the most capable in General Motors globally. 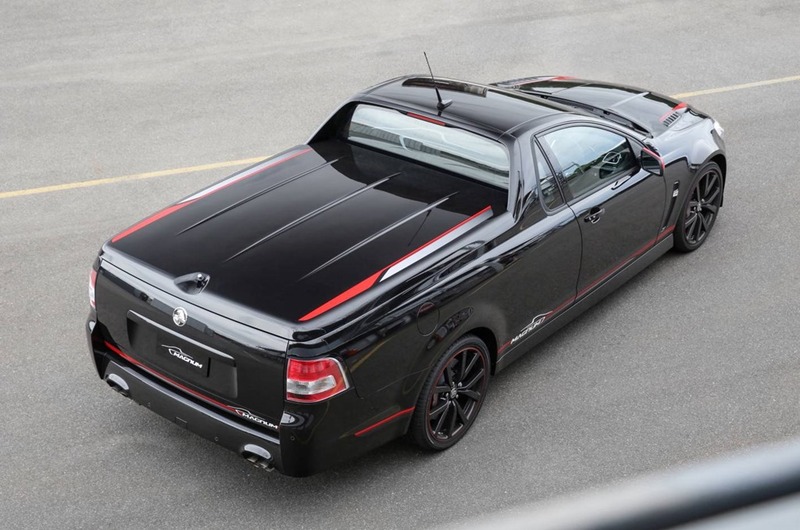 “Motorsport Edition, Director and Magnum have developed from a Holden team passion project into road-going homages to our people and our rich heritage. They blend performance and technology to create the most capable Commodores we’ve ever built,” said Mr. Pinnuck. 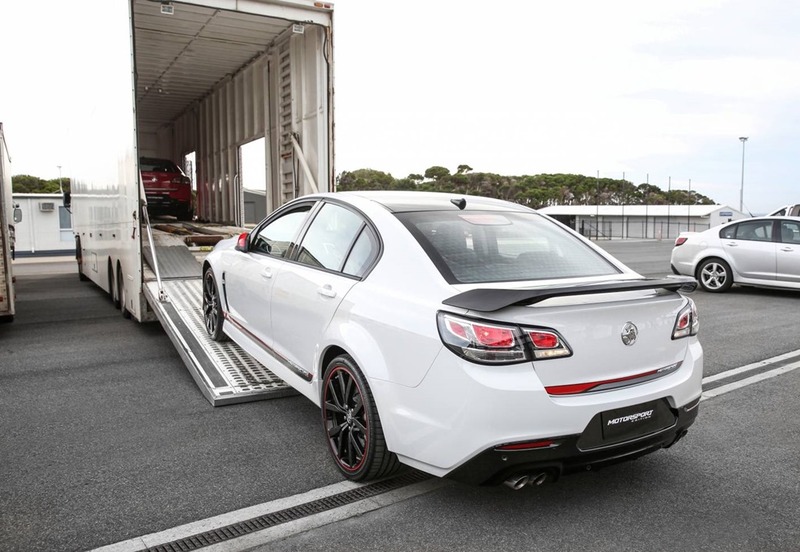 “We had a great base with the 6.2-litre LS3 V8 engine but the addition of a Holden developed driver mode control system, featuring Magnetic Ride ControlTM*, adaptive suspension, for the sedans and the introduction of our track-focused FE3 suspension for the ute, have given these cars even more to offer. “We’ve also developed engine and transmission cooling packages to meet ‘GM level 3’ track performance, meaning Commodore now joins the likes of Corvette, Camaro and Cadillac CTS as among the most track-capable General Motors vehicles”, among the most track-capable General Motors vehicles”. Leveraging the wealth of knowledge and content used in the global Zeta vehicle program, including on Camaro and Chevrolet SS, Holden engineers have employed 3.25kg lighter ‘floating disc’ front and rear cross-drilled rotors, an engine and transmission cooling package and 20-inch split wheels and tyres, ensuring the three Limited Editions are as unique under the skin as on the surface. Sedan models, Motorsport Edition and Director, come with a driver mode control system including the first Holden badged Magnetic Ride ControlTM, system which, using three distinct settings (Tour, Sport and Performance), gives drivers the options to switch between different suspension tunes depending on the scenario. The Magnetic Ride ControlTM*, system employs a suspension position sensors on each corner of the vehicle to read road conditions and adjust dampers up to 100 times a second to ultimately give drivers greater ride comfort and superior handling. Motorsport Edition takes track performance to another level with the use of a high-rate subframe bush to improve driver confidence under maximum lateral and braking events. Also with a focus on performance, Magnum now packs the same FE3 rear suspension tune seen on the SS-V Redline sedan, further moving the sports ute into track territory rather than workhorse. Celebrating Commodore’s on-track success over the years, including over 460 Australian Touring Car Championship and V8 Supercars victories, Motorsport Edition comes with a range of styling enhancements. Red DRL surrounds, red mirror scalps* and unique red lined 20-inch forged alloy wheels complement unique Motorsport Edition decals supporting the special content under the skin. With production numbers limited and the truly collectable nature of the three Limited Edition vehicles, customers are encouraged to visit their local Holden dealer or visit the Holden Limited Editions webpage and register their interest to avoid disappointment. Wow, amazing blog structure! How lengthy have you been blogging for? you make blogging look easy. The whole look of your site is great, as well as the content material! I’m now not certain the place you’re getting your info, however good topic. I must spend some time finding out more or figuring out more. Thanks for excellent information I used to be searching for this information for my mission.